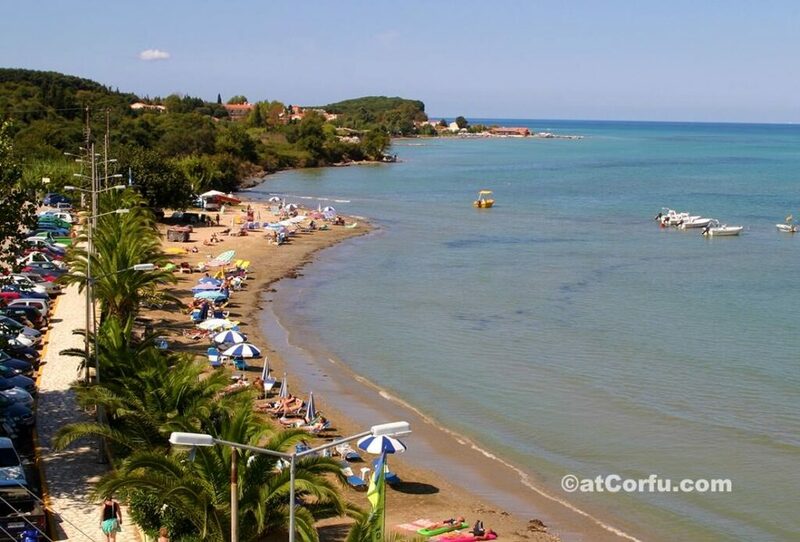 Corfu island has holiday resorts for everybody, but there are some places suitable specially for families with kids or couples seeking relaxing destinations. 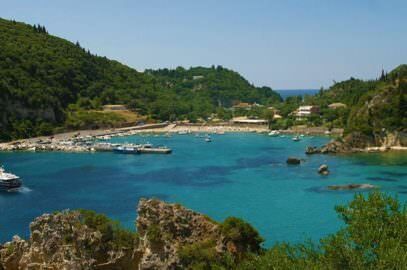 In fact most of Corfu seaside resorts are ideal for families. The best resorts for families with children should be those that provide safety, beaches where the sea deepens slowly and waters remain almost always calm, able to offer some activities for children, resorts near children playgrounds and places providing relaxing holidays for the rest of the family. These are the best Corfu resorts for families according to our opinion. A large horseshoe shaped naturally protected bay, with plenty of good accommodation and many shops and restaurants choices. It is not a very crowdy resort and offers a large sandy beach with lots to discover. Sea is excellent and children will love it. Another good family beach close to Agios Georgios. 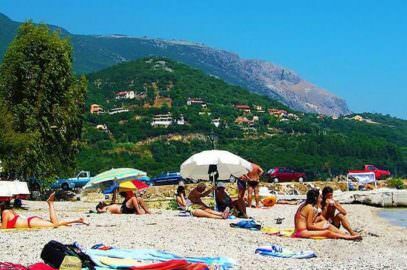 Kassiopi lays opposite the coast of Southern Albania, A very good choice for families and young couples, with very clean beaches and pleasant nightlife around the picturesque port. 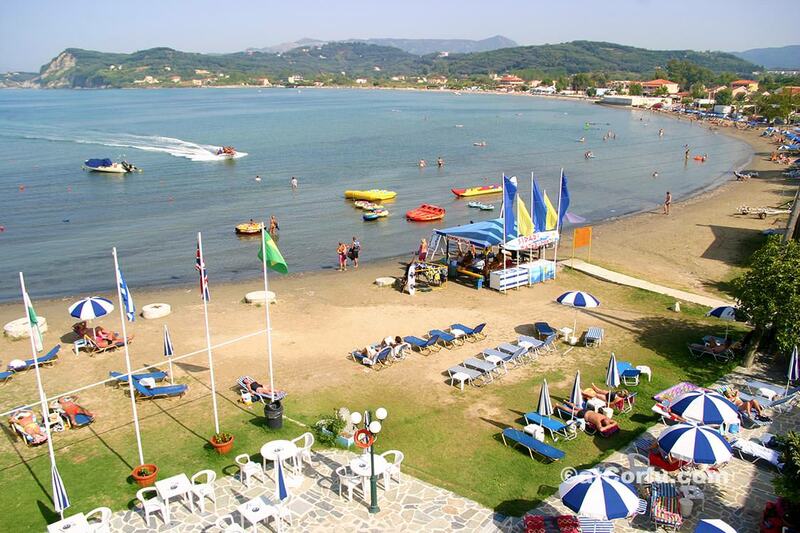 Sidari at the north west of Corfu has a lively nightlife and many bars but not something crazy and the resort with the beach is very family-friendly with lots of water sports. Canal D’amour is a beach and an amazing rocky formation which will be loved by couples, while to the East continues a long stretched sandy beach perfect for children. Benitses may lacks the beautiful beaches that you can find elsewhere but it is a very safe resort and gathers many advantages. 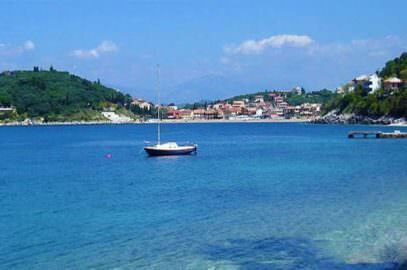 It has a beautiful scenery combining mountains and sea and it is very close to the town of Corfu. Benitses has the richest variety of restaurants, a low key but pleasant nightlife without the hassle of drunk youngsters, a large playground for children at the center of the village, a sea museum which will be loved by children. 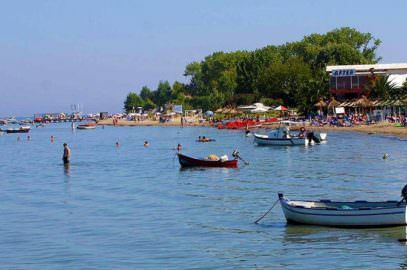 Benitses is close to the best beaches of the west coast, in reality it is a center for excursions to the rest of Corfu island as well as to the Greek mainland. 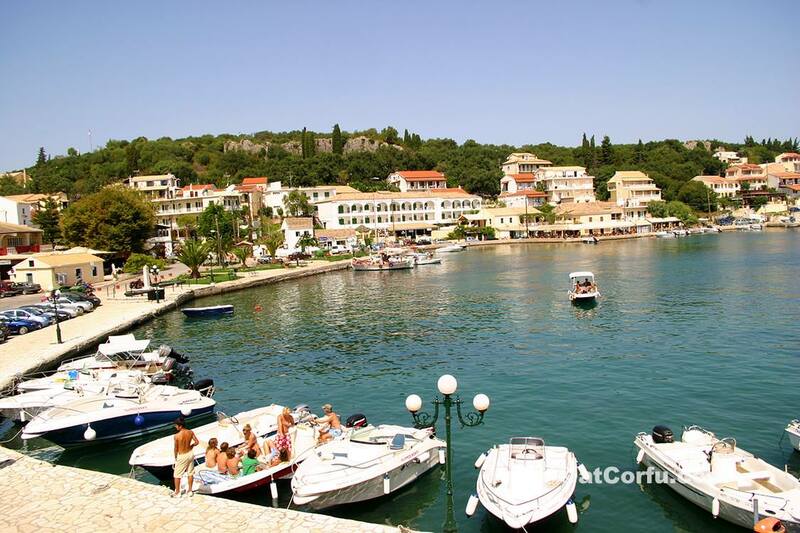 It has the second large yachting marina in Corfu, and the mooring, by the time, is free! Also is very close to Achilleion palace. Here nobody has to worry about a parking lot, because there are the most parking areas of all resorts on the island. Messonghi is 10 miles to the south of Benitses and next to a river and Moraitika village with which they share the same beach. With large hotels and plenty of small bars and taverns along the beach. 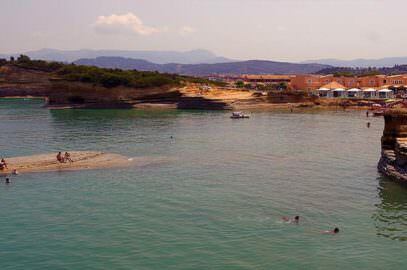 Messonghi has the largest and safer beach with the shallowest waters on the island, they remain shallow even hundreds of yards after the coast. Therefore may be the Best choice for families with children. Also is the only resort of the east coast with sandy beach. A very safe resort for children and families, although with a little freezing waters due to an underwater stream. 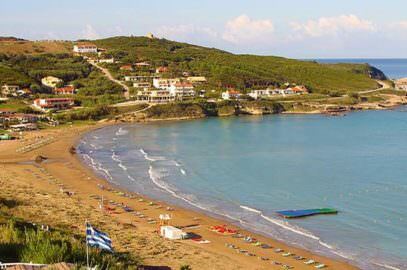 For some people it is the nicest resort of Corfu, with 5 main beaches inside the village and many remote hidden beaches around, 2 round shaped capes separating the beaches and some stunning views from the above mountain village of Lakones. Also a large port in which many yachts are mooring. 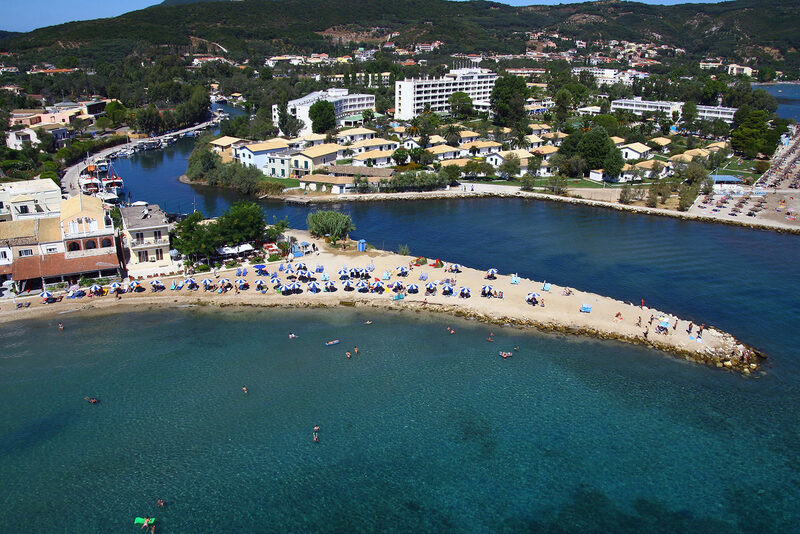 We must mention Aqualand, a large water park, a few miles from Paleokastritsa in the interior of the island, loved by small and older children. 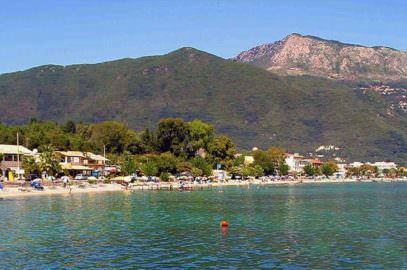 Also many more places are suitable for family holidays in Corfu, like Saint George of south at the southwest coast, Glyfada, Agios Gordios and Pelekas at middle west, Ipsos and Dasia at East, Nissaki and the whole northeast side of the island are also good choices for relaxing family holidays in Corfu. These are the largest, but of course there are many more destinations suitable for families, scattered around the island. 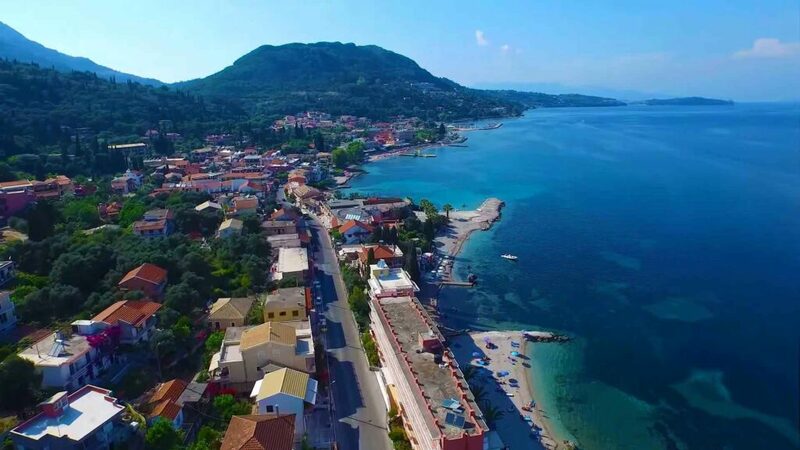 Corfu, despite what others believe, gives you the opportunity to island hop, maybe not at the large degree of the Aegean islands but there are many small island clusters around Corfu which you can visit easy. 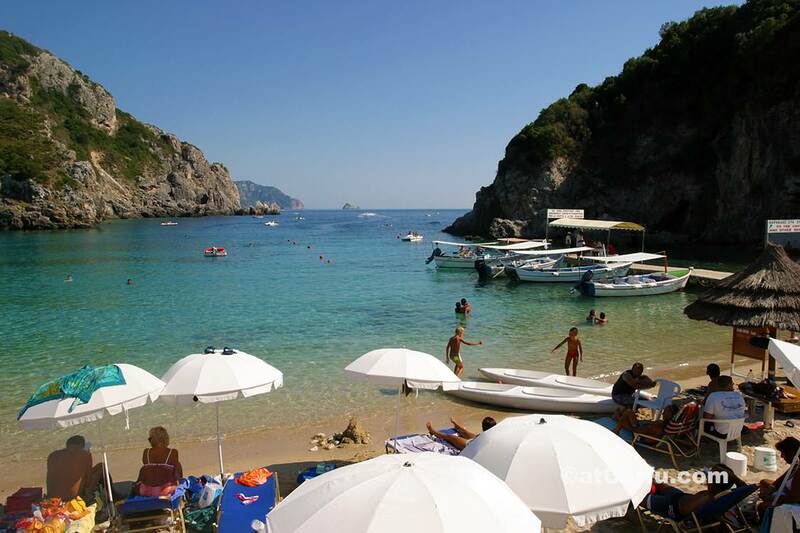 The Diapontian islands at the Northwest and Paxos and Antipaxos at the South are very close to Corfu, with daily transportation, they can offer exotic experiences, and are very good choices for families.